Organic Chemistry is a scientific topic which involves the study of the structure, properties, composition, reactions, and preparation of hydrocarbons and their derivatives. These elements includes hydrogen, nitrogen, oxygen, the halogens as well as phosphorus, silicon and sulfur. These organic compounds are hugely diverse. The periodic table is part of the organic chemistry subject. 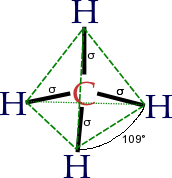 In the above picture, it is a structure of the methane molecule which is the most simplest hydrocarbon. It is one of the many elements of organic chemistry. 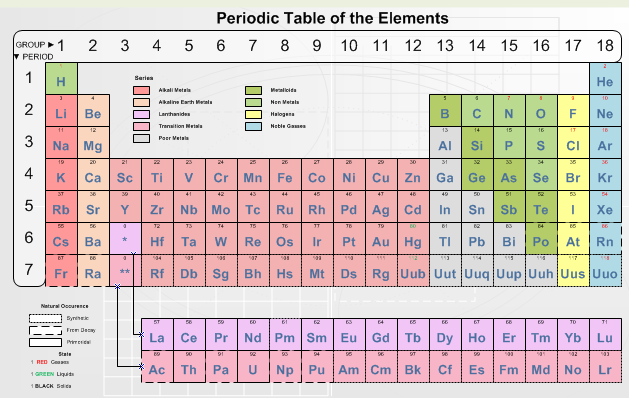 The periodic table is a organized table of elements. It consists of 111 elements and also includes several unknown ones. It is made by Mendeleev and sometimes refered as Mendeleev's table. In organic chemistry there are different types of molecules. One is a organic molecule which is living and is from a living organism. On the contrary, inorganic molecule is not living and not from a living organism. An example of organic molecule would be a hydrocarbon. Parts of an atom are protons, neutrons and electrons. Protons are a subatomic particle with an electric charge of +1 elementary charge. They have a positive charge. They add to the atomic mass. Electrons are negatively charged parts of an atom. They don't add to the atomic mass. Neutrons have a neutral charge. They add to the atomic mass. The Bohrs Model was devised by Niels Bohr. 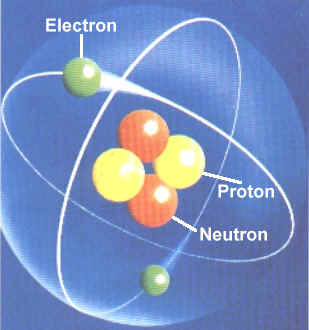 It protrays the atom as a small, positively charged nucleus surrounded by electrons and that move in a circular motion. It was introduced in 1913.